Unless you’ve been living under the proverbial rock, you’ve probably already seen this cake on Midwest Bride or Bespoke Bride or maybe came across it on Instagram or Facebook. You know when you have a great idea but it gets horribly rejected? Imagine working with an event planner toward a vision for a styled shoot and you have the BEST idea. You know it’s going to fit the theme perfectly, and have that “WOW factor” but she keeps shooting you down. Well, this pineapple cake was NOT that idea. 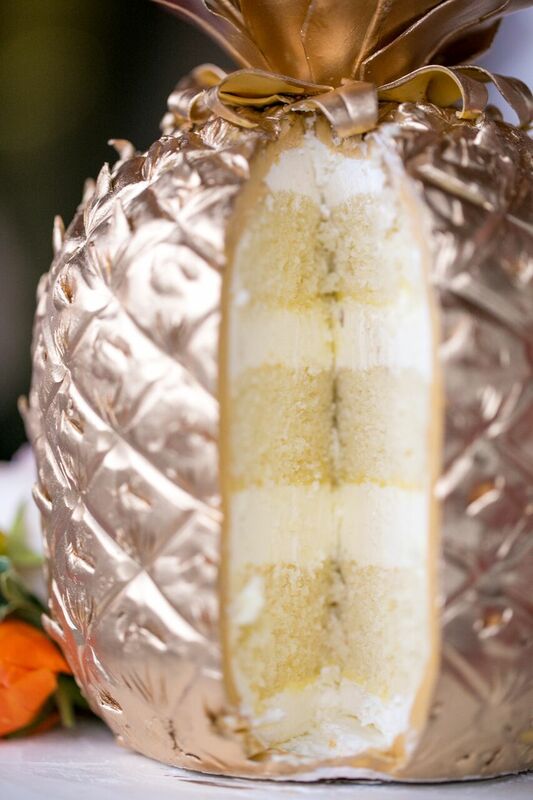 This pineapple cake was conceived when all hope was lost for my original amazing idea. So, you see, young grasshopper, sometimes rejection can force you to new heights of creativity. 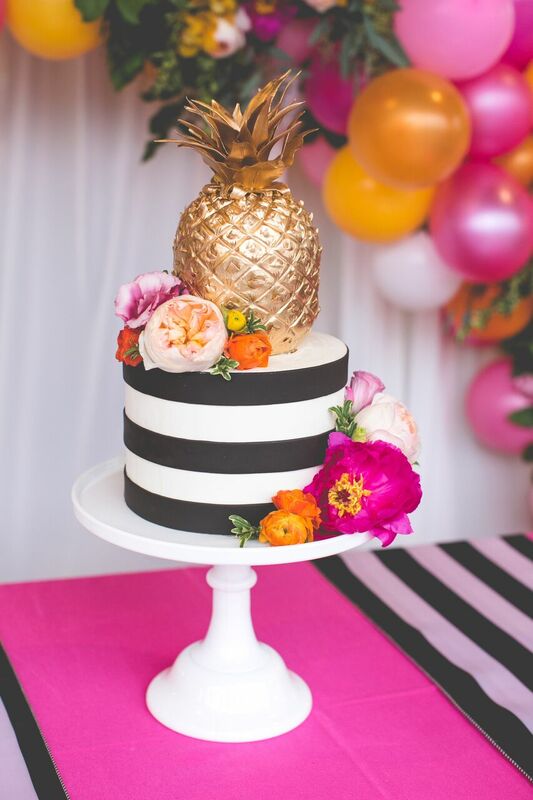 Actually, I don’t think I created the gold pineapple cake–It’s true, there could have been one created before, I thought I may have once seen a picture somewhere, but my search of Google images and Pinterest turned up nada–cakewise, at least. I was hoping to find a tutorial as a jumping off point, but, no luck! So I just had to figure it out. As sculpted cakes go, it’s not terribly difficult. A cylinder (which most cakes are) tapered on each end, then textured. I really think even a novice caker could achieve this cake. Enjoy! 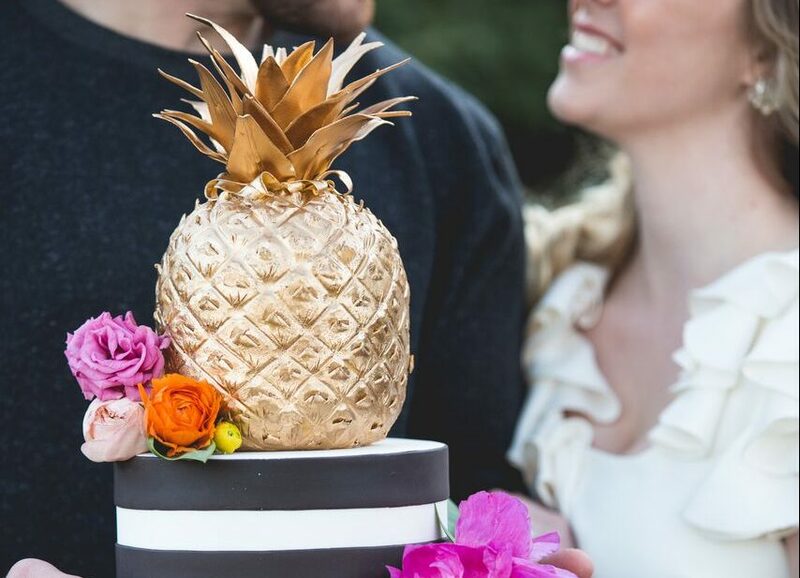 And I hope to see many, many adorable gold pineapple cakes taking over the interwebs very soon! I’ll be adding a second tutorial for the top leaves soon, so please come back!